Ok so we all secretly (or not so secretly) love scaring the crap out of our kids. Well here's a fun way you can do just that and they can scare the crap out of you in return. This DIY robot tissue holder lets you assemble it with your kids, then compete to see who can position it in a way that scares the crap out of them. Walk into the bathroom and flip the light switch on? Bam, there's a scary robot tissue box glaring at you from the bathroom counter. Just got done from walking the dogs? Boom, a terrifying robot tissue holder is waiting for you as you walk inside. Your kid keeps waking up and walking into your room to wake you up in the middle of the night? 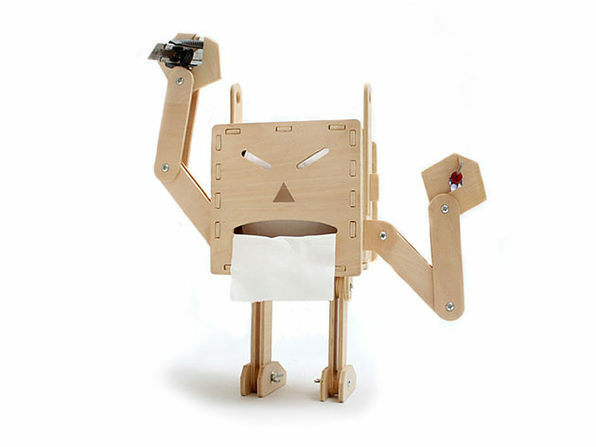 Kapow, this creepy robot tissue holder is waiting for them just outside of your bedroom doors. Ok, this one a little too scary for your little ones? You could always put it together with them and show it off in your office as a project you're proud of building with your kids. 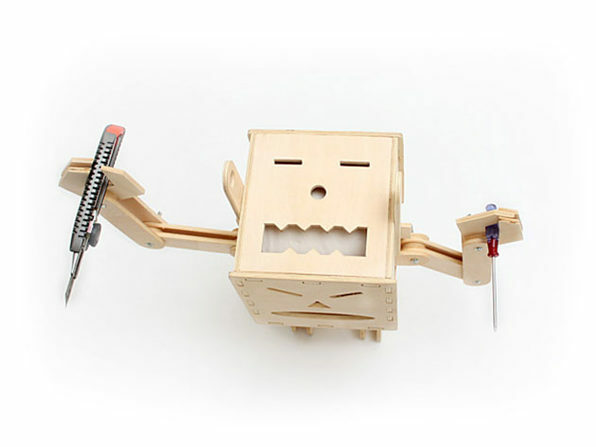 Get this DIY Tissue Box Robot to step up your dad game.